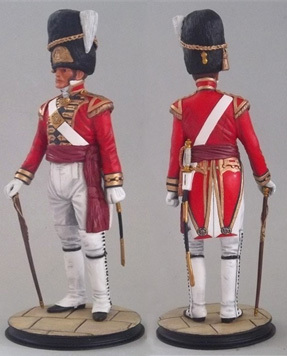 This is a model of one of the most colourful British soldiers. Crafted by Mike Wilkinson it makes up into a magnificent piece, being 150mm scale the model is very easy to paint for beginners or experts. The kit is Resin and white metal and includes a very nice paving stone Resin base. A Colour Sergeant to accompany this figure will be available soon and a larger base Will be available to accommodate both figures.